The popularity of synthol among bodybuilders has been rapidly rising over the recent years. The previously steroid-dominated field is now being quickly replaced by this new chemical for those who want bigger muscles in a shorter time. You may have seen someone with arms so massive that you were left wondering what the secret was and probably they told you its synthol. So what exactly is synthol? What’s its profile and how does it work? Does it have any effects? And how do you use it? Here are all the answers to the questions that you might be having about it and its use in bodybuilding. Synthol is a synthetic oil injected intramuscularly by bodybuilders to increase the size of muscles. It can allow for gains of up to an inch in muscle groups over a short period. substitute to the synthol. However, because of the uniqueness and the mechanism of action of this product that is explained below, it is irreplaceable. When synthol is injected into the muscle, it undergoes unique processing that results in the gaining of muscle size within a short time. 30% of the product is enzymatically broken down by the body just like any normal fat. The only difference comes in where it is not stored in the body to give you the undesirable body fat but rather is burned down very fast into fuel. It, therefore, gives you the advantage of keeping your body free of excessive fat while powering you for the workouts. which increases the size of the muscle groups. 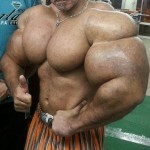 The encapsulation allows the synthol to remain in the muscle for a long time, ranging from three to five years. Many bodybuilders are therefore going in for this product with seemingly permanent result unlike any of the other products in the same category. 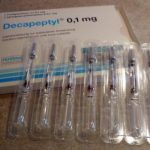 It has more of physical action rather than chemical action and hence has to be injected into the muscle which is to increase in size. It is therefore administered in different muscle groups from calves, biceps to shoulder muscles giving bodybuilders an edge over their competition. The mechanism of action is what informs the popular belief that the product has no side effects. The producers of the product propose that now that the 30% is metabolized like normal fat while the remaining 70% is encapsulated, there is no chance for any side effects and any risks. However, looking at the bigger picture reveals that there exist some health risks as discussed later. There has been an upsurge of the number of users of the product over the recent years. 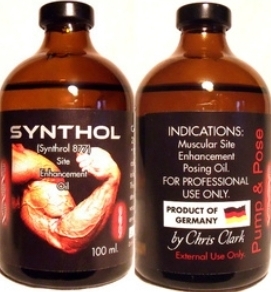 It has been hugely fueled by the quick and effortless results synthol offers. Many bodybuilders are not willing to go through the pain, frustration, and patience that it takes to build the muscle which may take a long time naturally. Some just need to kickstart their bodybuilding career while some just want a little enhancement to make them better than the people they are competing. Celebrities using the product have also led to increased use of the product among people in most countries. Openly declaring on social media of how synthol has worked the magic is responsible for the high number of upcoming bodybuilders using it. People also get inspired to use it in gyms when they meet people who have attained the desirable muscle size courtesy of the product. Why exactly are people opting for synthol rather than the other products? 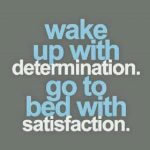 The answer is simple; it is because of two reasons, immediate results and using less effort. Unlike steroids that typically improve the healing of the muscle after working out, increase protein synthesis that builds more muscle and shuttle blood and nutrients to the muscles whose results take some time to show, synthol delivers results within no time. The results are immediate, and that is why many bodybuilders opt for it just before a competition to give themselves an edge over the others. You can gain up to 2 inches within only three weeks, something not possible when using any other product. The other pro is the ability to use less effort to gain more muscle size. 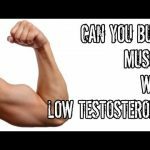 Unlike steroids where you have to work out before you get serious results, synthol allows you to get the desired muscle size with just some workouts. It is the shortcut that many bodybuilders want to take. All they have to do is spend on the purchase of the product and with a simple routine gain enough muscle to leave the audience and judges wowed. Despite the enormous advantages that the product offers, it has a couple of disadvantages. One is in the fact that it will only increase the size of the muscle but not the strength. Many users do confess that despite having larger muscles, there are not any stronger than they were before they started using the product. The other disadvantage is the many health risks that it poses to its users. The manufacturers may promise that there are no side effects of using synthol but the truth is that using it comes with its risks. 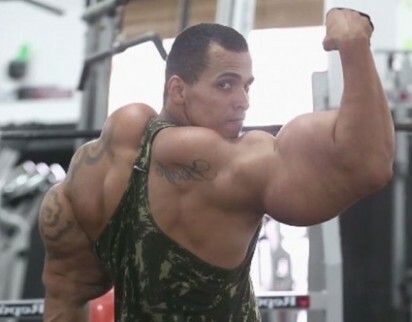 It has repeatedly been denied that there are no side effects to using synthol; however, there are several adverse events that have been reported by users. The training once a bodybuilder starts using becomes harder. They will feel as tired as they would after doing a hundred sets of workouts after just doing a single set. It, however, gets easier with time. It is just the muscle adjusting to the new structure. Pain has been reported by users especially in the calves after they started using the product. It is said to be even more painful than Esiclene, an Italian steroid that was popular in the 80’s where it was used to cause swelling in the region of administration just to bring up body parts that were lagging. The pain in the muscle groups, however, decreases with time and it becomes bearable to do the normal exercise routine. Because of the above risks, it is advisable that extreme care is taken during the use of the product. When the injection is done correctly, and the doses kept within normal, good results are guaranteed without any health problems. Here is how you can safely use synthol to get that desirable body. Previously the product was limited to just a handful of supplies however currently it is available in major online stores and accessible globally. Prior, Mesomorphosis was the only distributor of the oil, but now sites like eBay have it on sale. 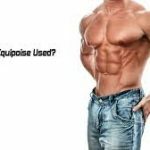 There are a variety of names that are used including Pump’n Pose Posing Oil that is used in the place of synthol. However, there is need for caution when you decide to purchase the product. There are many counterfeit products on the market today labeled synthol which may even be sold at a lower price to lure unsuspecting bodybuilders. The fake products will often not result in any muscle increase but instead may cause serious health problems in your body. Always insist on getting the original and trusted synthol that delivers results with minimal problems if any. 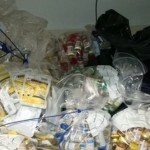 The prevailing street price is at around $300 to $400 per bottle depending on the supplier. The single bottle is enough to get you to your dream muscle size. As more people opt for the product and more and more suppliers get on the market, changes in the pricing are expected. As you can see, the product is highly promising for any bodybuilder who wants to get to the next level. Its safety, proven record, and efficiency make it one of the options to go for when in need of the extra one or two inches. There are however several risks involved. You will, therefore, need to weigh the benefits against the risks before deciding on whether to use it or not. It should however not substitute the dedication and effort in the routine workout that has assured results with no risks and side effects. If you must use synthol, then let it be to give you that extra kick after you have already put the work in for some time. The choice, however, remains yours to make.